The first time I had mint tea was in a hammam in Paris. While you wait in a room that looks like something out of Arabian Nights for your massage, they give you this sweet, fragrant tea to sip on. 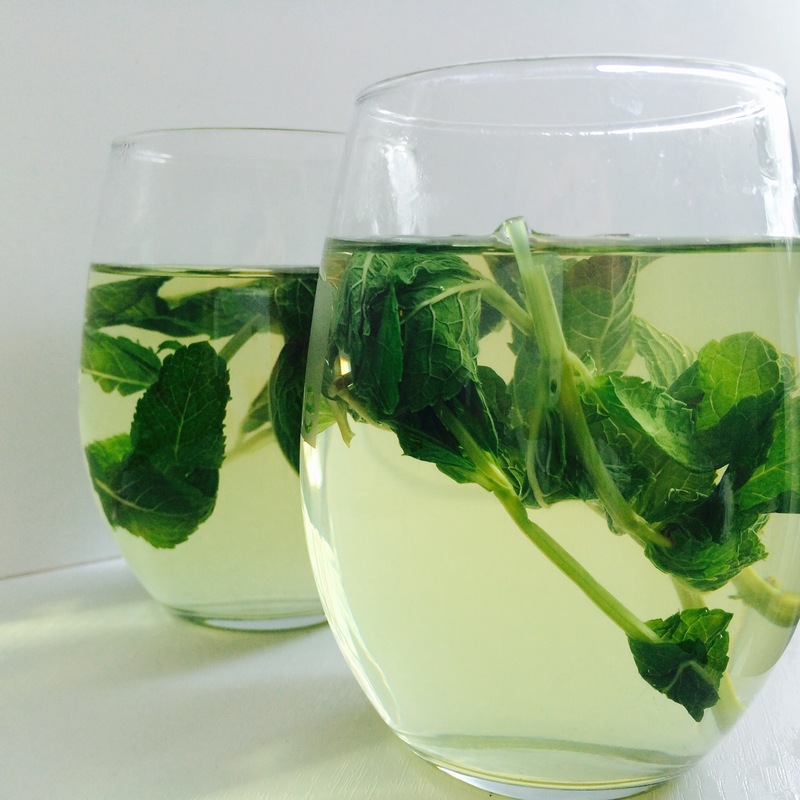 The traditional tea is very sweet which is something I would have on occasion, but this everyday version has the cool, calming, flavour of mint with a hint of sweetness. When making this tea, I use a french press, but a pot works just as well. Put mint, stems and leaves (no need to pull apart) into a pot or french press. Add 2 tbsp of sugar and muddle the leaves (think mojito). Muddling the leaves releases the oils in the mint and makes it fragrant. Add boiling water. Let stand for 4 minutes. If using a french press, push down and pour. If using a pot, strain carefully. The wilted mint leaves can be used as garnish. I’ve been asked about sugar-free and sugar alternative options, like honey or stevia. I have found the traditional way of making it gives you the most fragrant and flavourful tea because you are bruising the leaves. I use organic cane sugar, but coconut sugar or for a sugar-free option like monkfruit sweetener can be used. This recipe is my everyday version, and I have never found a tea bag that is as good as this. If you want it sweeter you can add more sugar when muddling or keep to the recipe and then add additional sweetness with honey to your cup. Monkfruit sweetner looks like sugar and has a brown sugar, toffee like taste. I really like the Lakanto brand. So if you are looking for a sugar replacement check out the link below.